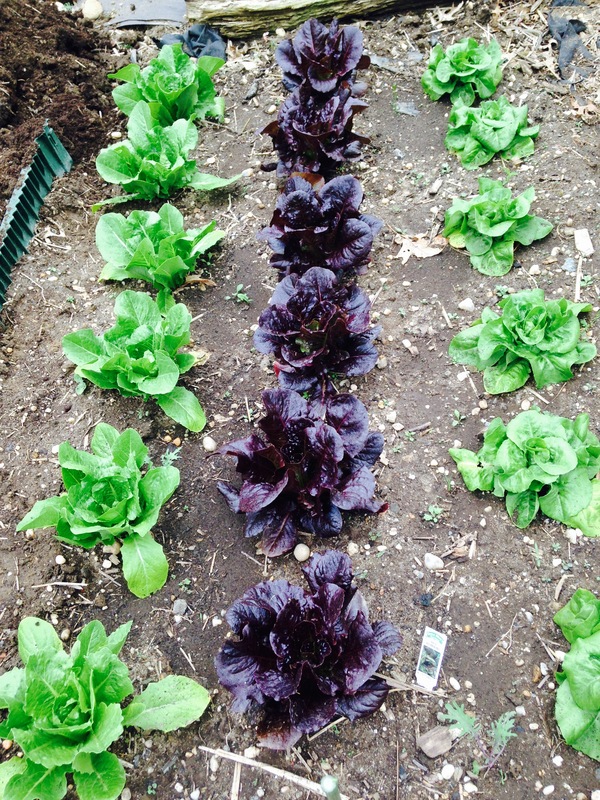 Lettuce, beets, kale, mesclun greens, snow peas, cabbage and other cool weather crops should in the ground now. The tomatoes and peppers are still in the hardening stage. They’ll be ready in about 10 days. 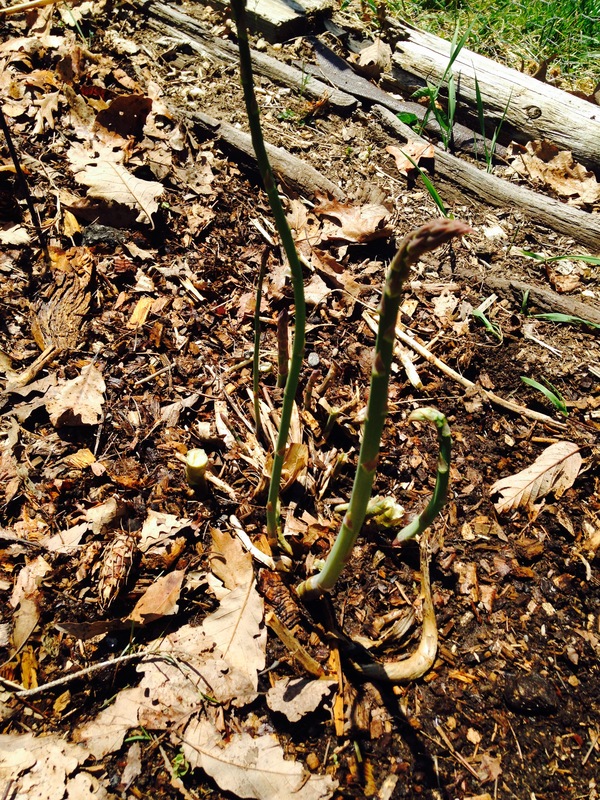 Here are some shots of what’s doin’ in our veggie garden. The town supplies us with wood chips, mulch and horse manure. 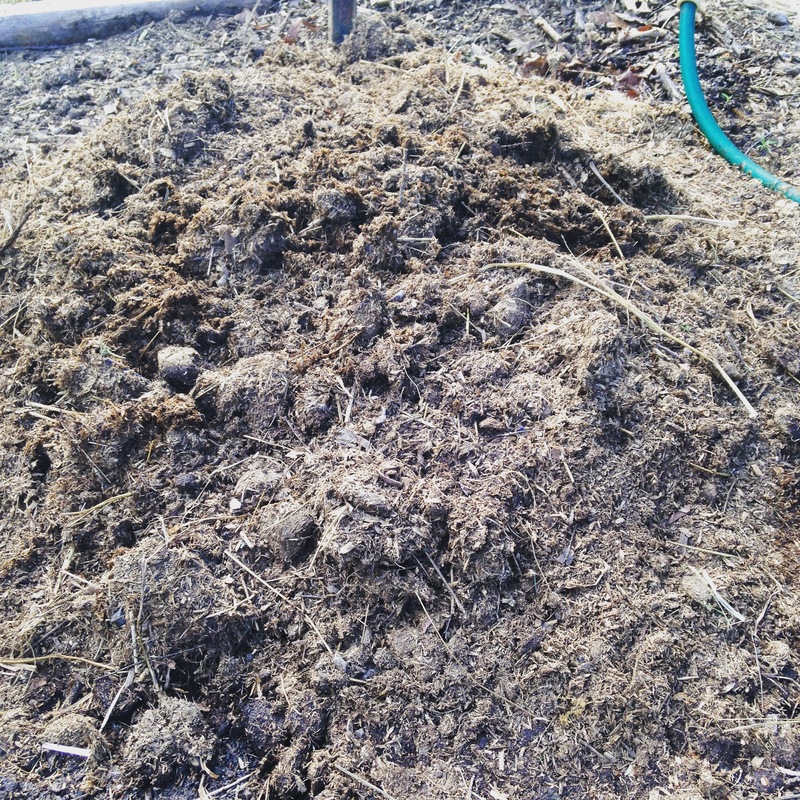 I brought manure over to our plot. I stacked it and wet it down. You need to be careful. Manure that is too fresh can harm fragile plants. I like to let it sit in the sun and wet it every so often for a few weeks before I use it. And I use it sparingly until the plants are larger and robust. Once the plants are strong manure helps them grow quickly. 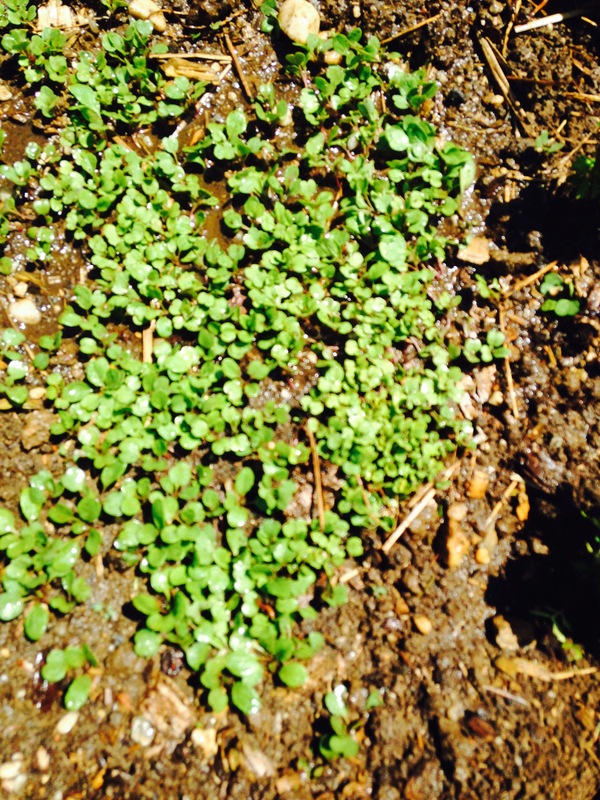 Here’s a shot of the mesclun lettuce coming up. We did seeds and this mix is so easy to grow ANYBODY can do it and it tastes great! 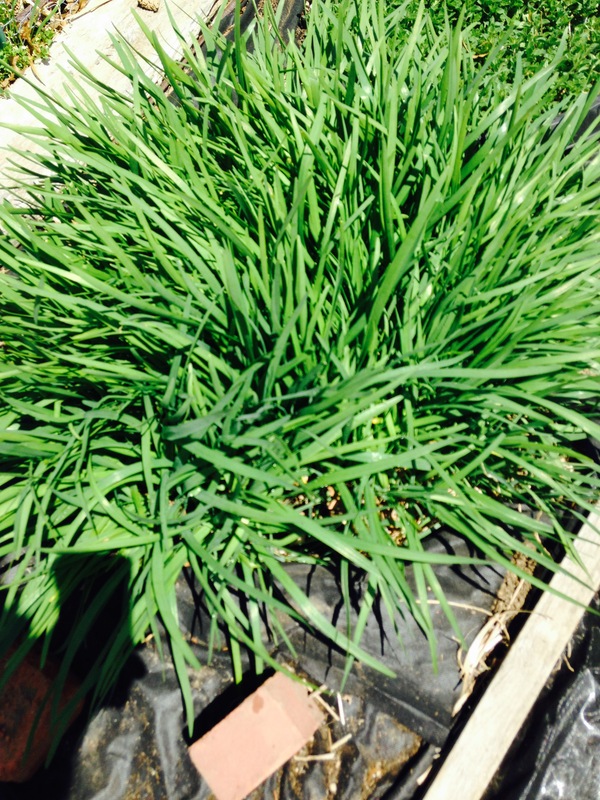 This is onion grass…a perennial herb that gives delicious mild onion flavored leaves in abundance. You just cut off some handfuls of leaves and toss it in your salad or stir fry. Yummy! 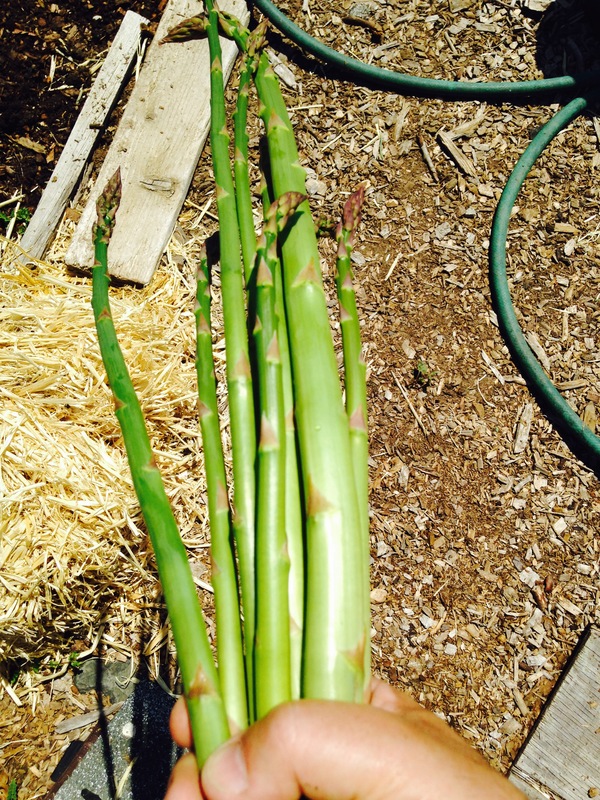 We have an asparagus bed that we created 3 years ago…17 x 5 feet. Asparagus is also a nice perennial. It’s only May and we’ve already harvested over 50 spears. This is going to be a great year for asparagus! The plants send up numerous spears (which if left un-cut) will grow into leafy frilly bushes. It’s best to allow some of the spears to go to seed so the plant stays strong and healthy and you can keep picking spears all summer to eat. 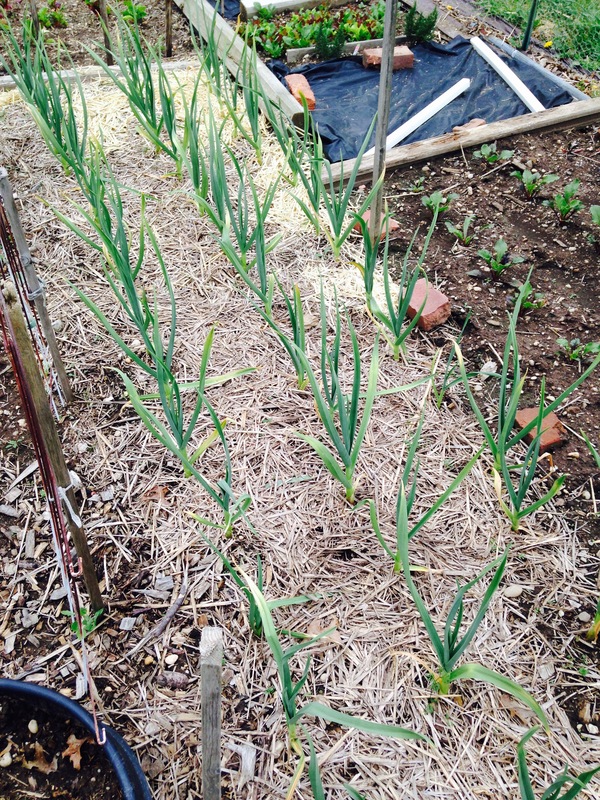 The garlic we planted last September is doing very nicely now and getting taller every day. This was a really tough winter on Long island. We were concerned about the plants but they came through in great shape. We will pick the bulbs around July first. You let them dry out in a cool dark place or hang them in a netted bag. After a few weeks when the greens shrivel up, you cut them off and you’re left with delicious home grown garlic. We planted 18 heads of lettuce about 3-4 weeks ago and as you can see we are getting ready to take some this week to eat. Love that red romaine! The little dude is a common toad. We usually have 2 or 3 in our 20 x 40 plot each year. 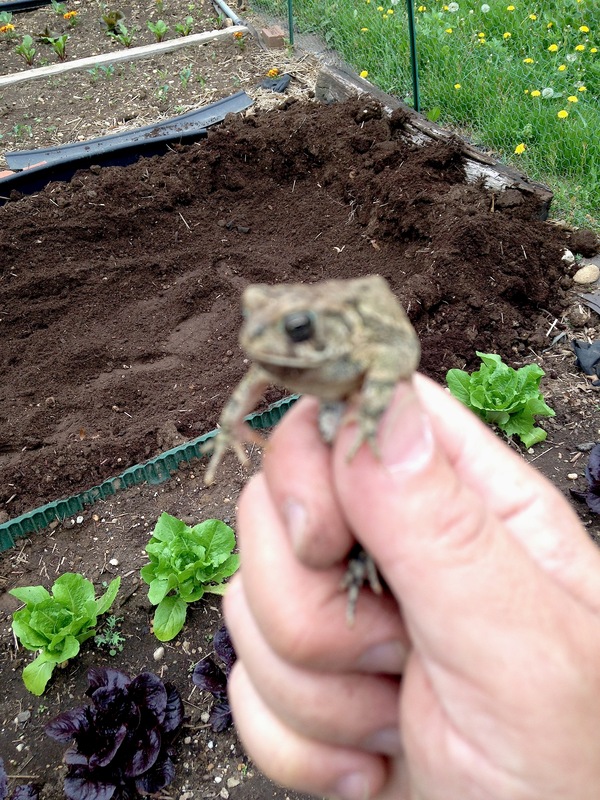 They are organic pest controllers…eating their weight in bugs! In areas where farmers use poisons to control weeds and bugs, you won’t find too many of these critters. They are not immune to poison! Next installment will deal with planting the tomatoes and peppers. This entry was posted in Gardening, Growing Vegetables and tagged Garden, Lettuce, Plant, Sowing, vegetable gardening on Long Island. Bookmark the permalink.